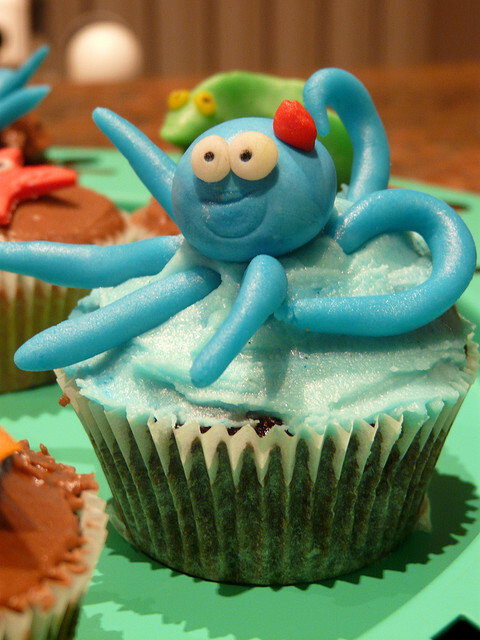 via Happy 1/2 Birthday, Lightning Octopus! [Hurray!]. Recently, I was introduced to Lightning Octopus by Will Bradley. The site is a great resource for all things geek in Arizona and yes, I am a proud member of The Order. Congrats on a great site and here’s to a long, successful run. Thanks to the subdued activity of the frontal lobes and the excited visual cortex, we sit in our plush chairs munching on popcorn and confuse the fake with the real. We don’t question the non-sequiturs or complain about the imperfect special effects or the shallow characters. Instead, we just sit back and watch and lose track of the time together. This article is a fascinating read and puts Inception into a context I hadn’t thought of before. SPOILER ALERT: If you haven’t seen the movie, don’t read this article. It’s full of spoilers. We asked you last week to help us show BP that when hiring unethical photographers (or photo editors) in the future, they should look for Photoshop proficiency on their resumes. In response, you put the company’s pathetic photo-doctoring of oil-cleanup press photos to shame. Your work was not only more skilled, it was far more imaginative. Why just remove the ground beneath a parked helicopter when you could put that chopper on the moon instead? We’ve all heard the stories of BP hiring photo editors for their PR shots and the backlash from that. The results have been release and are AWESOME! As the 104 days of summer vacation start to dwindle into the hot and lazy dog days, our favorite creative and inventive pair of stepbrothers, Phineas and Ferb, have a couple of summer spectacular events on the way to put a little bounce in your house before the kids head back to school. This is one of my favorite shows to watch with the kids… and maybe sometimes on my own. WHAT!? Skype can now receive calls when the app is running invisibly in the background, which was a major omission in previous versions released before Apple added multitasking to its OS. Doesn’t really solve the AT&T coverage woes, but it sure does help in the $ department. Mozilla recently released the first beta version of Firefox 4, the next iteration of the world’s second most popular browser (after Internet Explorer). The new Firefox offers the usual under-the-hood tweaks you’d expect, such as improved security and better page rendering, and it also supports WebM, Google’s new open video standard project. But more importantly to the average user, Firefox 4 offers a refreshed layout and appearance. Here’s a look at some of the highlights. I like the new look. I think I may give this version a spin. That’s right, an ACTUAL flying car. ARE YOU FREAKING KIDDING ME? Just yesterday, my 10 year old son asked me when we’d have flying cars. I guess now we know the answer. A partial lunar eclipse will be visible across much of North America early Saturday morning, according to the editors of StarDate magazine. As Earth’s long shadow falls across the Moon, the part in the shadow will turn dark. It will look as though a chunk were missing from the Moon. Prime viewing will be in the early morning hours, so set your alarms… or stay up all night. Which ever you prefer. The site has the schedule broken down by time zone. Check it out! Yep. This is awesome. Enjoy! In other words, at 12 inches from the eye, Jobs claims, the pixels on the new iPhone are so small that they exceed your eye’s ability to detect them. Pictures at that resolution are smooth and continuous, and not pixellated. However, a display expert has disputed this. Raymond Soneira of DisplayMate Industries, was quoted both in that Wired article and on PC Mag (and other sites as well) saying that the claims by Jobs are something of an exaggeration: “It is reasonably close to being a perfect display, but Steve pushed it a little too far”. This prompted the Wired article editors to give it the headline “iPhone 4’s ‘Retina’ Display Claims Are False Marketing”. As it happens, I know a thing or two about resolution as well, having spent a few years calibrating a camera on board Hubble. Having looked this over, I disagree with the Wired headline strongly, and mildly disagree with Soneira. Here’s why. First, let’s look at resolution*. I’ll note there is some math here, but it’s all just multiplying and dividing, and I give the answers in the end. So don’t fret, mathophobes! If you want the answers, just skip down to the conclusion at the bottom. I won’t mind. But you’ll miss all the fun math and science. Since the AT&T and Apple websites are having so many troubles today, why not pass the time reading about the new iPhone’s display. It’s not like you can pre-order it right now. This is an interesting read. Check it out. An eclectic collection of life and geekery.